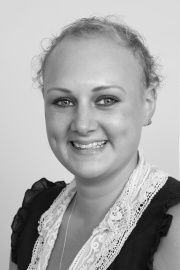 Having started her career with us at the tender age of 18, Jade has had one of the most varied roles in the company; starting as an administrator and progressing her way up to office manager and as such, she has had to adapt to all sorts of situations. She now holds the position of PA to the Partners. Her friendly and smiley demeanour, along with her no-nonsense attitude ensure that the Partners are kept in line (and all their paperwork is up to date!) Being the second eldest of seven siblings has certainly helped hone those all-important organisational and disciplinary skills! Although Jade had spent seven years living in Clifton, she has now ‘moved to the country’ in Clevedon with her fiancée (a Naval Officer) and their two children. In her spare time, she enjoys spending time with her family and going to the gym.